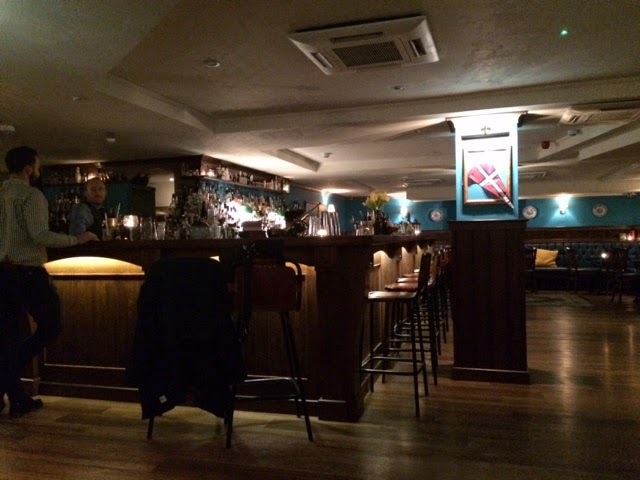 Gin club outing : Gin Journey - What's Katie Doing? 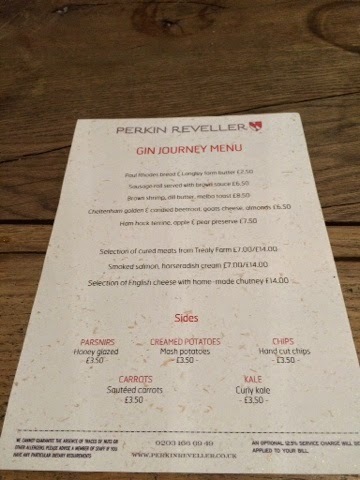 I’ve been working all hours on the day job recently and the time to actually report back on our Gin Club outing on the Gin Journey has been woefully short. 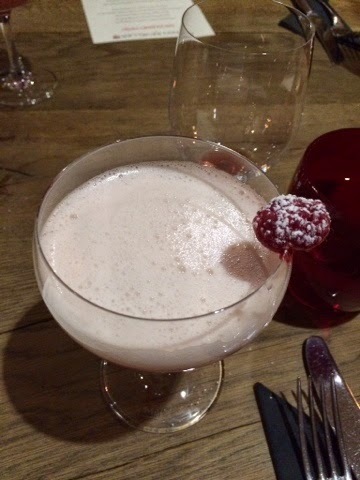 Our first drink of the day – The Bay of Angela. 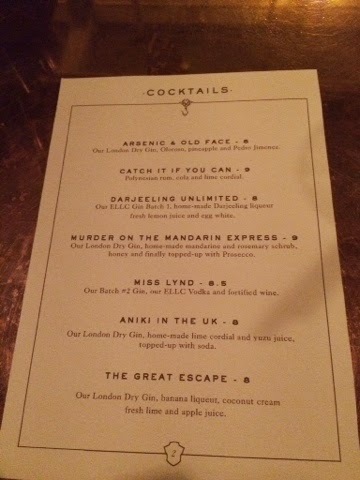 This cocktail showcases Martin Miller Gin. 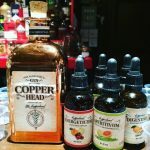 It’s named after their pot still Angela, with bay leaf, Fever Tree Mediterrean Tonic, black pepper and Darjeeling cordial. 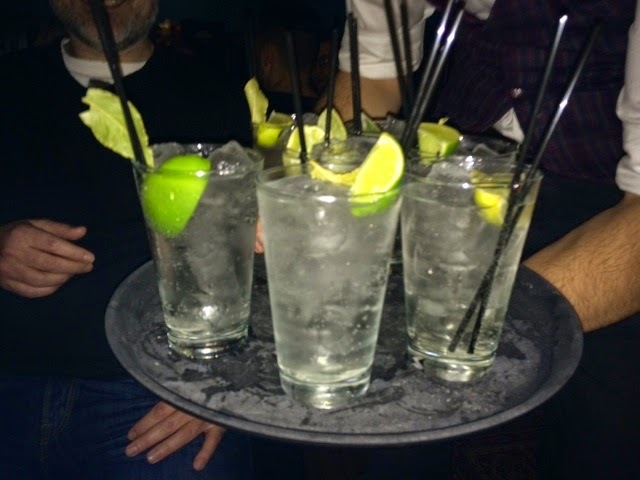 We also tried the Martin Millers Gin neat – I have to admit that I didn’t get the aroma or taste of the cucumber that’s added after dilution. 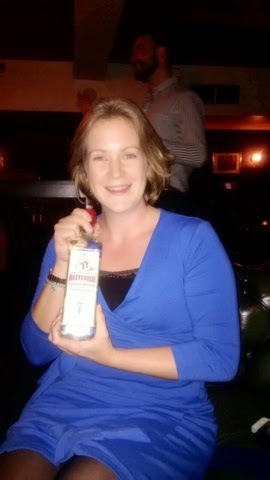 Martin Millers uses Icelandic water as a pure base to dilute the gin to a drinkable alcohol % after it’s been distilled. 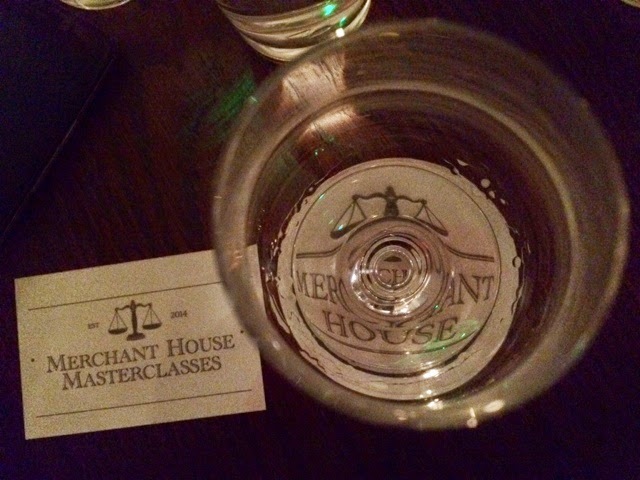 Oh yes they do master classes at Merchant House – worth a visit! 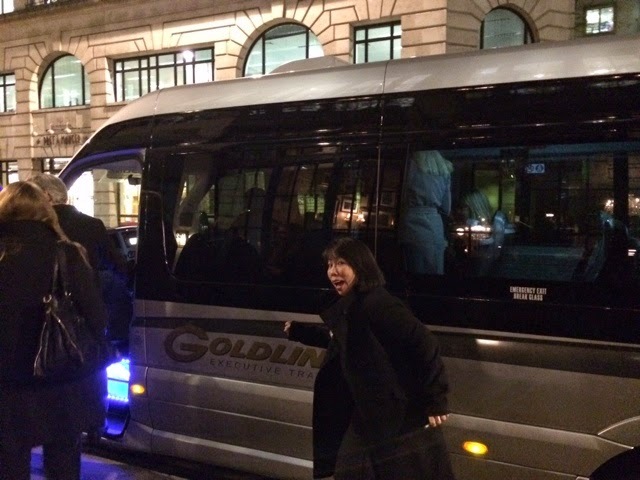 Next we moved to the Gin Bus, here’s @JuniperChick showing it off! 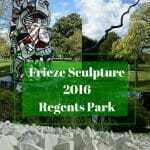 A chance for some snacks to line the stomach! 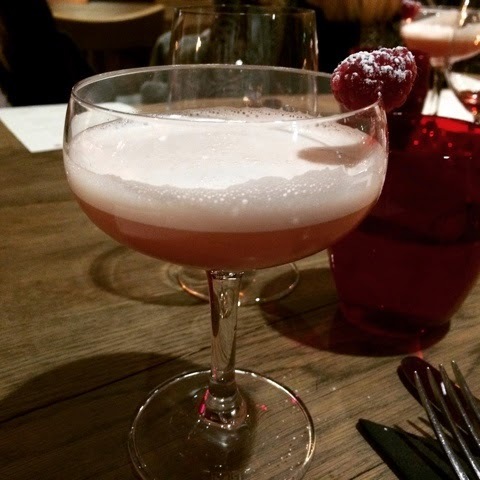 Our cocktail – Sloe Roasted Gin showcasing Haymans Sloe Gin with roasted almond syrup, lemon and egg white. 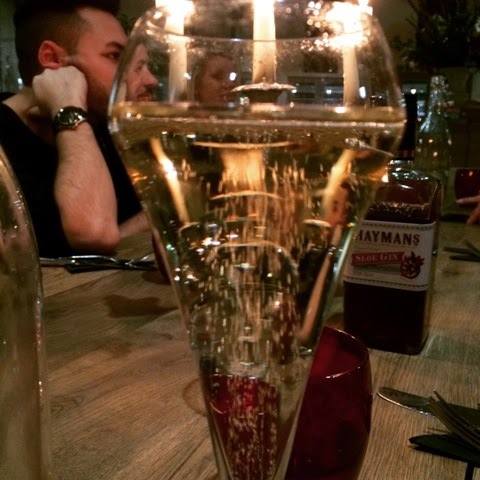 Laura and I followed up with a glass of English bubbly from Nyetimber. We were allowed this close to the stock! 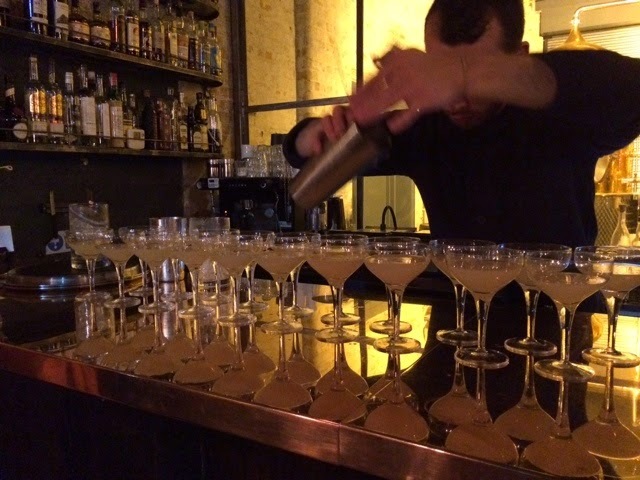 The Gin Journey cocktails lined up – this was an 18th Century using their batch 2 Gin. 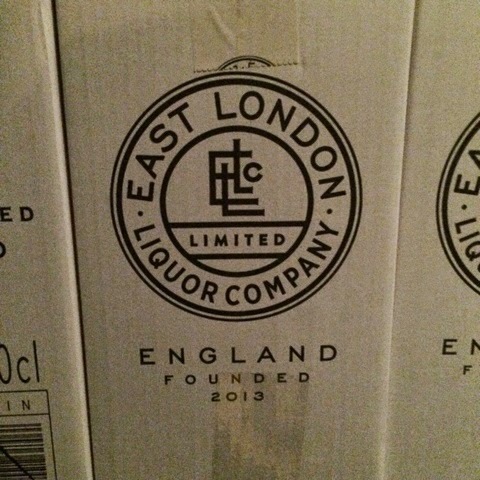 The whole product selection – including their Vodka and Rum, we tried their London Dry and the batch no. 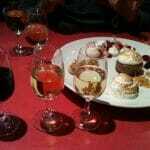 2 which is more aromatic as well as packing higher alcohol at 47%. 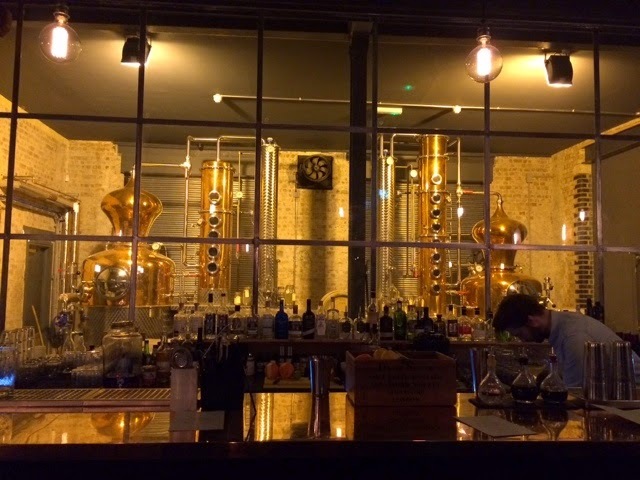 By then we had to be poured into the Gin Journey bus… Last stop was Worship Street Whistling Shop between Liverpool Street & Old Street. 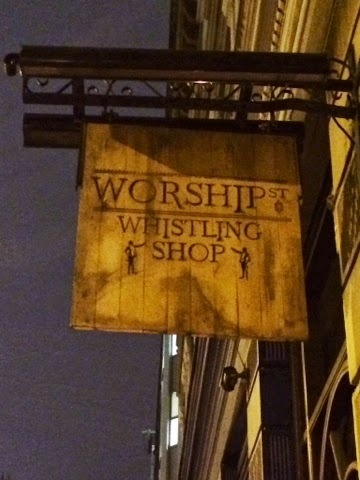 The shop is named after the practise of Whistling for your gin. 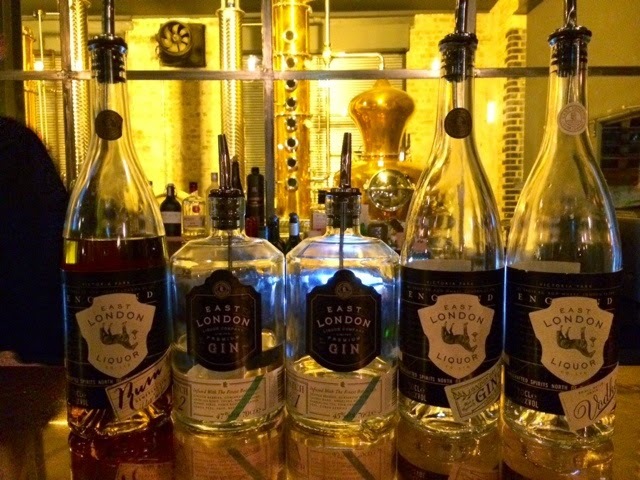 At one point in historic London the sale of Gin was prohibited and people would get around this by dispensing shots of gin through the holes in a door when someone whistled for attention and paid the right amount through the slot. 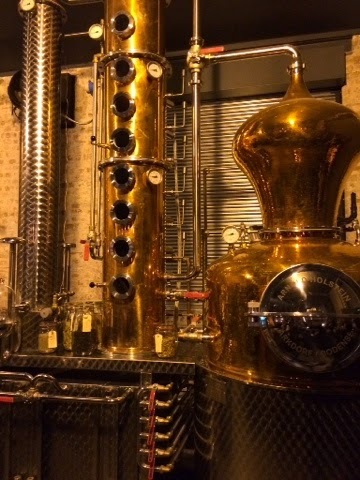 An early speakeasy model?! 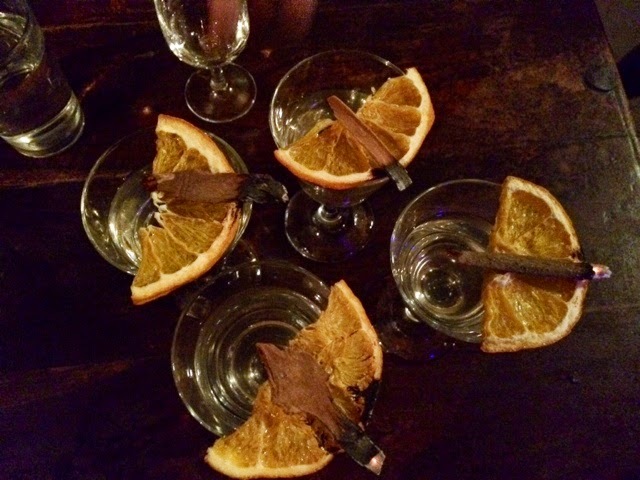 Here we tried Breakfast at Galsworthys – this was a mix of Sipsmith gin with negroni, martini and their homemade toast and marmalade distillate (made on the premises), garnished with dried orange slices and burning cinnamon for an aromatic smoke. 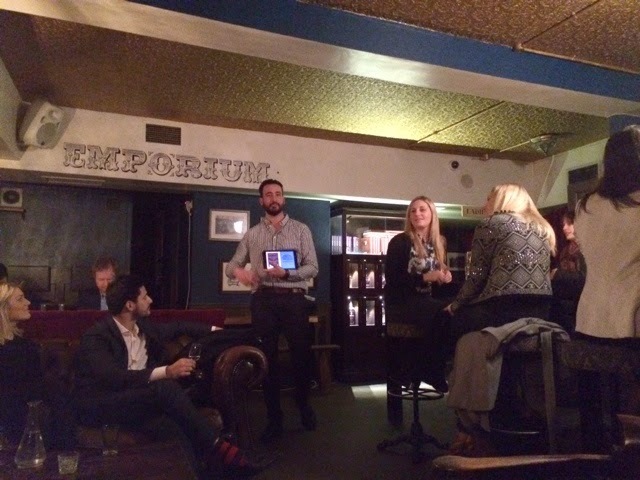 Leon spoke a bit more about the history of Gin and then proceeded to announce the winner of the social media competition….. Guess what?! I won 🙂 you can follow me @katiebhughes on Twitter or @whatskatiedoing on Instagram to see more gin related posts & pictures! 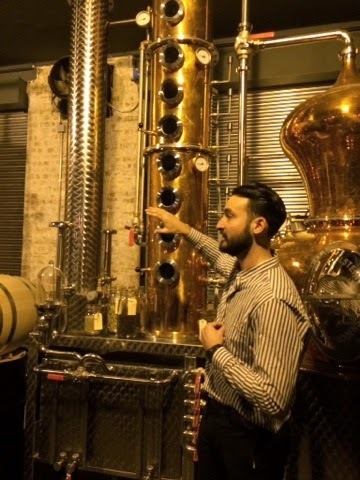 The Gin Journey is run by the lovely Leon of Shake Rattle and Stir and for £60 you get to visit a 5 different gin locations around London with the Gin bus taking you between them with Leon providing a running commentary and a cocktail at each bar. 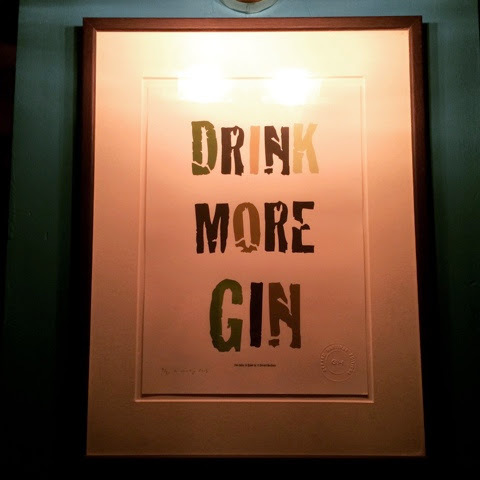 Don’t forget some gin knowledge helps – points mean prizes!! 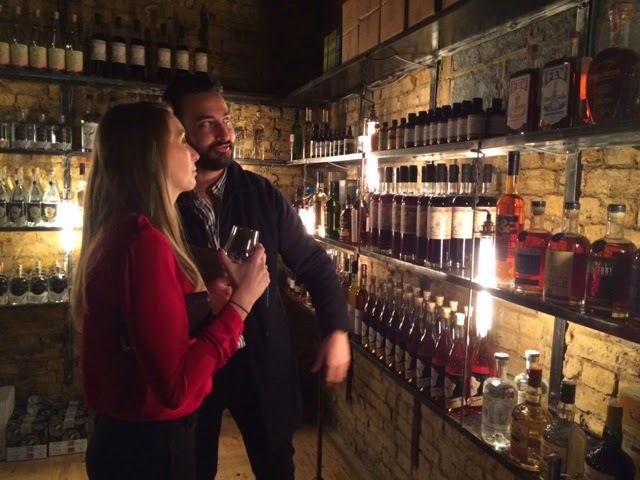 Gin ones of course 😉 – but don’t be put off – the Gin Journey is perfect for people wanting to find out more about Gin, its history and current standing in London.